The return of Abner Jay! His first LP on Mississippi, The True Story of Abner Jay, is perhaps my favorite release from the label so I was thrilled to see this second collection of his work. Jay is an American folk artist in the truest sense of the term, a visionary who began his career at age 5 and was still performing the year of his death. "Outsider music" isn't really adequate here, as Jay spent his entire life immersed in the traditions of folk, blues and soul music -- the direct, emotional impact of his music is certainly uncanny but definitely not naive. Jay self-released a huge number of records and tapes during his lifetime and toured with Sister Rosetta Tharp but only in the last ten years or so has his music been made available to a larger audience, first by Subliminal Sounds who compiled a CD in 2003 and now with the pair of Mississippi LPs. Jay was by and large a one-man band, playing the drums with his feet while strumming either a guitar or banjo and blowing on a harmonica. He claimed lineage to the black minstrel and vaudeville shows of the South and his exaggerated diction and full-throated singing style attest to that. Additionally, comedy plays a large role in Jay's music, which he often referred to as "comedy blues," and short routines or one-liners often pop up in middle or at the beginning of his songs. That said, there's definitely something fried about Jay's music and many of the songs he sings are about people at the end of their rope ("Cocaine," "I'm So Depressed," "Starving To Death On My Government Claim," "St. James Infirmary Blues," "I Wanna Job"). All of this comes together to form a body of work which is just as often humorous as it is melancholy, sometimes at the same time. 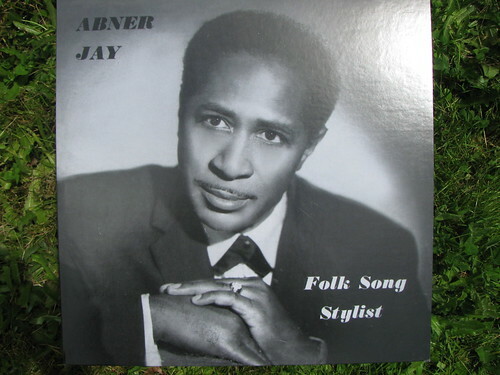 Honestly, the best place to start with Jay's music is The True Story of Abner Jay, and I would highly recommend tracking down a copy of that while they're still out there (they still have copies at Mississippi Records). While not as dizzingly good, Folk Song Stylist is nonetheless an excellent album and definitely essential (one big difference is the lack of comedy routines on Folk Song Stylist). Highlights are an alternate, full-band version of "I'm So Depressed" called "Depression," "I Wanna Job" and a wild-eyed take on "Swing Low, Sweet Chariot."